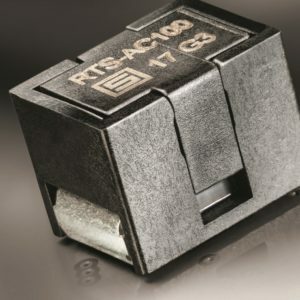 RTS stands for “Reflowable Thermal Switch”. It was developed to protect highly integrated power semiconductors like MOSFETs, ICs, IGBTs, Triacs, SCRs, etc. from overheating. Before mechanical activation, the RTS can be mounted using conventional reflow soldering techniques with temperature profiles up to 260 °C. This entry was posted in Europe, Global, North America, On Ticker, Switches and Keyboards, Switches and Keyboards, Switches and Keyboards, Thermal Management, Thermal Management, Thermal Management, top articles, UK. Bookmark the permalink.